Last week in Italy, Father Andrea discovered something truly disturbing at his church. 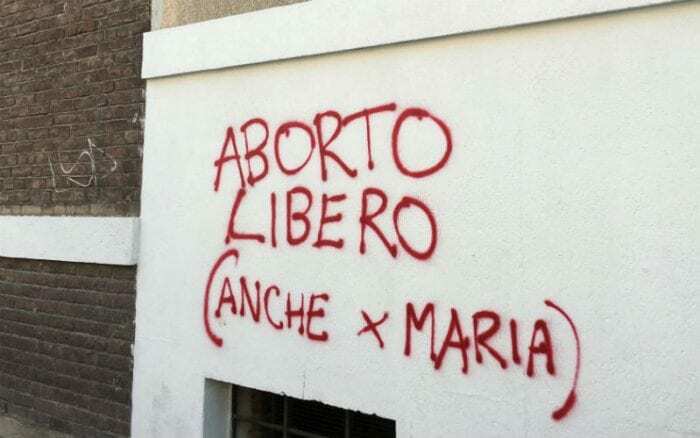 The parish priest, arrived at his church to offer mass and on the entrance wall he encountered a blasphemous graffiti message written by pro abortion vandals. The graffiti read: “Free abortion and Mary.” The reference to Mary appears to be a blasphemous reference to the Mother of God. In response, the priest Fr. Andrea wrote an open letter to the vandals on Facebook that has been going viral. I’m sorry you couldn’t take an example from your mother. She had courage. She conceived you, carried on the pregnancy and gave birth to you. She could have aborted you. But she didn’t. She raised you, fed you, washed you, and dressed you. And now you have a life and freedom. A freedom you’re using to tell us that it would be better if people like you weren’t supposed to be in this world. I’m sorry, but I disagree. And I really admire your mom because she was brave. And she still is, because, like ativan generic name lorazepam every mom, she’s proud of you, even if you’re acting badly, because she knows that there’s still good inside you. Abortion makes nonsense of everything. Death wins against life. Abortion is letting fear control a heart that normally wants to fight and live, not die. It is choosing who has the right to live and who does not, as if it were a simple right. It’s an ideology that takes away all hope. You obviously have no courage. Since you’re anonymous. And while we’re at it, I’d also like to tell you that our neighborhood has already experienced a lot of problems, and we don’t need people to vandalize the walls and ruin the little beauty we have left. You want to prove yourself brave? Then improve the world instead of destroying it. Give love instead of hate. Help those in suffering to endure their sorrows. And give life instead of taking it! This is real bravery! Luckily our neighborhood, which you destroy, is full of brave people! Who can love you too, you who don’t even know what you write! Absolutely Father Andrea… this little wimp has no gut and too weak to be braved… Thank YOU Father he will learn his learn his lesson now by realizing thats his little writing didn’t even move a fly … actually it just bit him back!!! 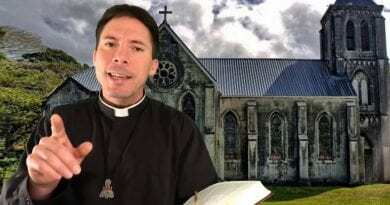 God bless you Father Amen!!! Amen and thank you father for this wonderful letter to this person. He must be grateful to his mom and dad but most specially to God who gives him life every second since he was conceived by his mother. Thank you Lord. 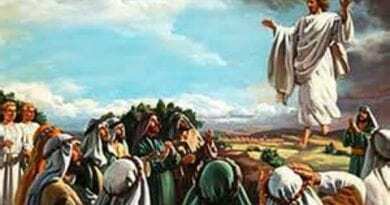 Monday 12th February 2018,, Today’s Holy Gospel of Jesus Christ according to Saint Mark 8:11-13. February 11, 2018 ryanmysticpost Comments Off on Monday 12th February 2018,, Today’s Holy Gospel of Jesus Christ according to Saint Mark 8:11-13. 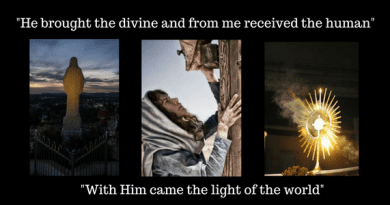 Amazing Story of the Power of God…Champion of the Rosary Father Donald Calloway – Saved by the Virgin Mary. October 17, 2017 ryanmysticpost Comments Off on Amazing Story of the Power of God…Champion of the Rosary Father Donald Calloway – Saved by the Virgin Mary.